The simple ceremony of preparing, pouring and sharing tea can be a wonderfully relaxing way to share some time with someone special. 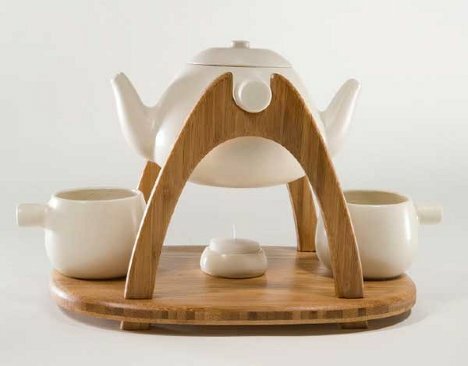 The Tea for Two set from designer Mark Huang blends the function of a traditional tea set with a romantic flair. 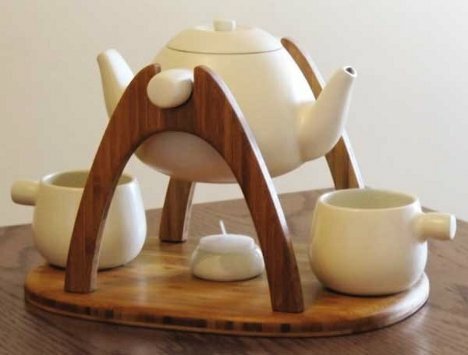 The set includes two mugs, a candle and a teapot all on a wooden base. 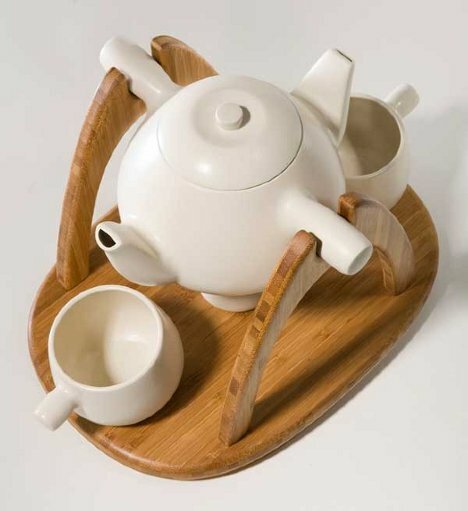 The teapot sits on the base and pivots from one side to the other, making it simple to pour tea into both of the cups. The resulting aesthetic is rather sweet and enchanting. Beneath the teapot, the candle (when lit) provides some heat to keep the tea warm to the very last drop. With the lovely set resting between you and a special person, there is very little chance that the tea or the conversation will run cold.